Don't miss out on this one folks! This Mazda 6 GS Automatic is LOADED with great features and priced to sell! Give us a call today to book a test drive! With the fuel sipping SKYACTIV technology and safety features to help keep anyone in your vehicle secure. Stress free driving as well with the remainder of our famous unlimited mileage warranty! Looking forward to seeing you in for a test drive! FEATURES: AUTOMATIC HEATED SEATS BLIND SPOT MONITORING BLUETOOTH CRUISE AC RAIN SENSING WIPERS KEYLESS ENTRY PUSH TO START REMOTE LOCKS ONE TOUCH WINDOWS POWER WINDOWS POWER MIRRORS HEATED MIRRORS 60/40SPLIT REAR SEAT AUTO HEAD LIGHTS ALLOY WHEELS ABS TRACTION CONTROL AND SO SO SO MUCH MORE! 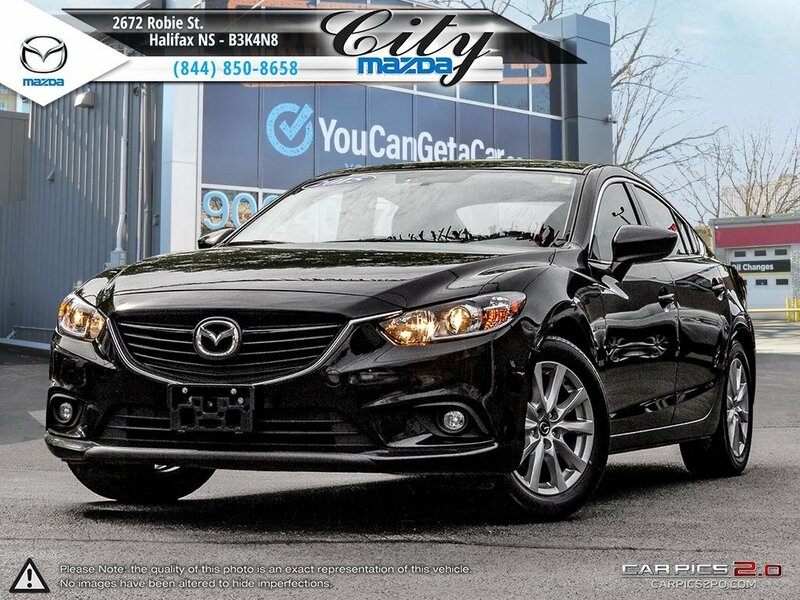 We at, City Mazda and, City Pre-Owned strive for excellence and customer satisfaction. We are a locally owned, independent dealership that has been proudly serving the Maritimes for 30 years and counting! Every retail checked vehicle goes through an extensive inspection process to insure the best quality and standard we can offer. Our MVI ONLY vehicle line up also goes through a standard but very thorough inspection. Our financial team can offer many different options to fit any need! We look forward to earning your business and become your “One Stop Shop” for any and ALL of your automotive needs! Find us on Facebook to follow our events and news! Ask about our FAMOUS maintenance plans! Contact us today, we welcome you to the ZOOM ZOOM family in advance; trust us, you will not be disappointed!